Are you looking for an easy dinner recipe? 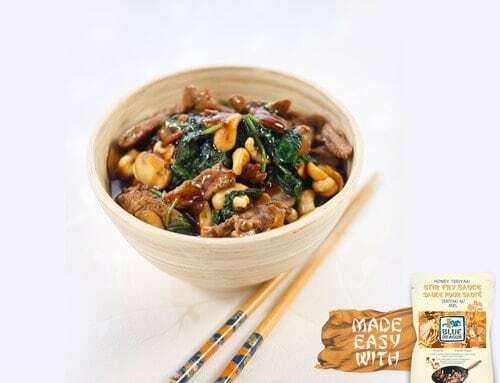 Try this beef and pumpkin stir fry with Blue Dragon Broccoli Beef Stir Fry Sauce. It is simply delicious. When Blue Dragon wanted to know my favourite stir fry sauce, I could not answer. I love them all. Each one adds a different flavor to the meal. The Honey Teriyaki one is great with chicken and poultry. The Sweet and Sour Stir Fry Sauce is perfect with shrimps. But eventually I had to choose one and I chose the Broccoli Beef stir fry sauce. I chose it because I am not good at cooking beef and I find this sauce enhances the beef flavor a lot. Without the stir fry sauce, my beef comes out either too dry or flavorless and no one dares to eat it. 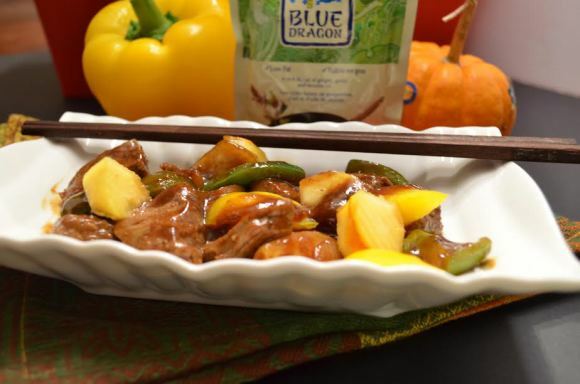 But with this Blue Dragon Stir Fry sauce, even my pickiest eater asks for more. The beef comes out juicy, tender and delicious. East is made Easy with Blue Dragon Stir Fry Sauces and I am the WokStar of my kitchen. Let me show you how you can be a WokStar too. The Blue Dragon stir fry sauce recommends broccoli but I didn’t use it in this easy dinner recipe. I came up with my own stir fry favourite recipe. I replaced the broccoli with pumpkins and added other vegetables. Let’s see how you can make it. 1 pack of Blue Dragon Broccoli Beef stir fry sauce. Pour the sauce and heat. Serve it as is or with your favorite rice or noodles. I love it as is. So my Wokstars, how do you like my dinner recipe? Easy and delicious? You can replace the pumpkins with butternut squash or any vegetable you have around. If you don’t have yellow peppers, that is fine. I add it to have a colorful meal. Green peppers are great too! I love stir fry recipes. They are perfect for busy parents: toss ingredients you have in the fridge, add some meat, your favorite Blue dragon sauce and you have a nice hearty meal in less than 30 minutes. It can be ready in even less than that if kids help you with the prep. My teenager helps me with the vegetable prep. Besides kids feel like they ordered take out. I make sure to serve the stir fry in a nice dish with the chopsticks. After all, eyes eat first..
As a Blue Dragon Ambassador, I will be sharing with you delicious ways to make the Easy easy at your table. I hope you will all follow me along during this journey. Blue Dragon has launched a new Tumblr . 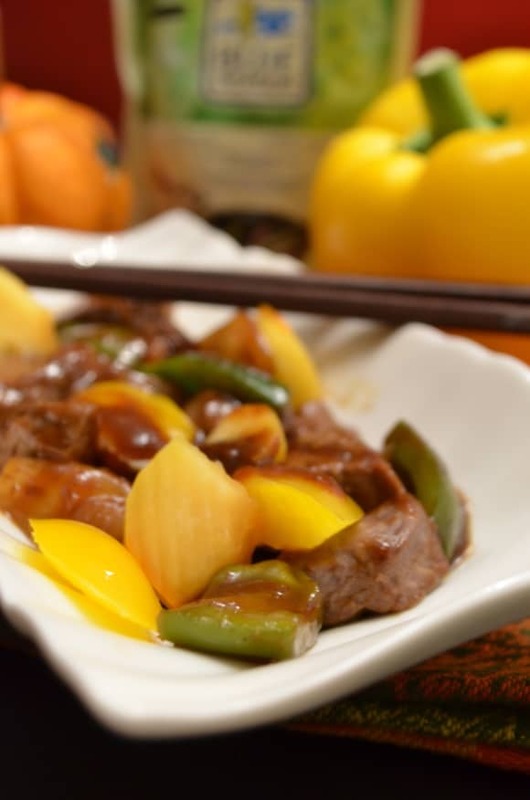 They have delicious recipes like this Honey Teriyaki Beef Stir Fry. Are you WokStars already? What is your favourite Asian recipe? Share your tips and tricks with me. I am part of the Blue Dragon Canada ambassador program and I receive special perks as part of my affiliation with this group. The opinions on this blog are my own. I love pumpkin in more than just pie. This sounds delicious! Yum, this looks absolutely delicious! I would’ve never thought to try adding pumpkin! This sounds delicious! I love cooking with pumpkin and squash but have never made something like this! This looks delicious. Can’t wait to try this recipe soon. I love cooking with pumpkin. Oh good lord this recipe looks so yummy I want to recreate this. I have never thought of this combo together, but this sounds and looks fab! 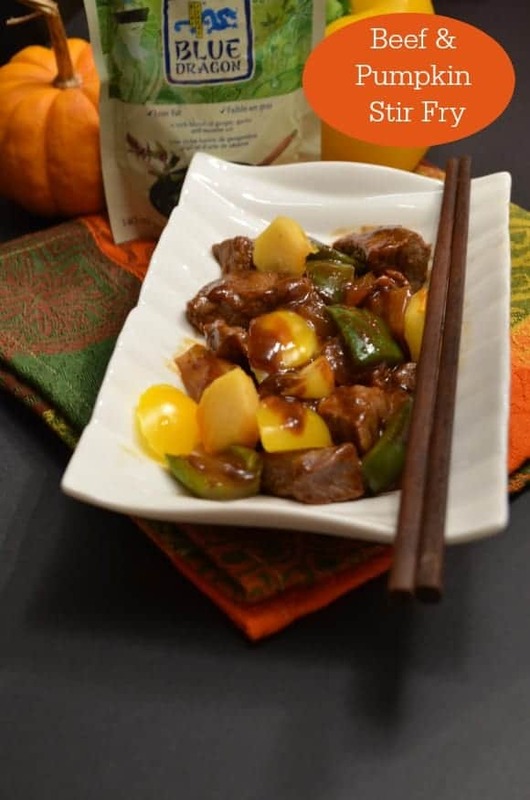 I’ve never had beef and pumpkin together but it sure looks delicious. makes me want to eat this since I am starving, lol haha! What a great way to use the rest of the pumpkin we have in the house. I know my husband would LOVE it! very interesting combination that i have never considered. need to look into the. I really love the idea of this recipe, I am a huge fan of pumpkin and a quite the carnivore; I’ll have to try this out! I would not have thought to add pumpkin to a dish like this. It looks delicious. I can not wait to try this recipe. I’m drooling! They look really delicious. I bet my fam would love this! This looks so delicious. I know my fiance would love this for his dinner! This looks like a great dish, especailly for the Fall holiday time. Cooking beef can be tricky, but with the right sauces – one can make amazing dishes just like what you did. I hope to do your recipe one of these days. Stir fry is one of my favorite meals to make and to eat. I am going to try this recipe soon, thank you. What an interesting combination – I’ve never heard of it before. The beef looks so tasty in your pics. I like it best with pineapple. This looks amazing and simi healthy. I think I could actually get my husband to eat this. This looks so yummy! 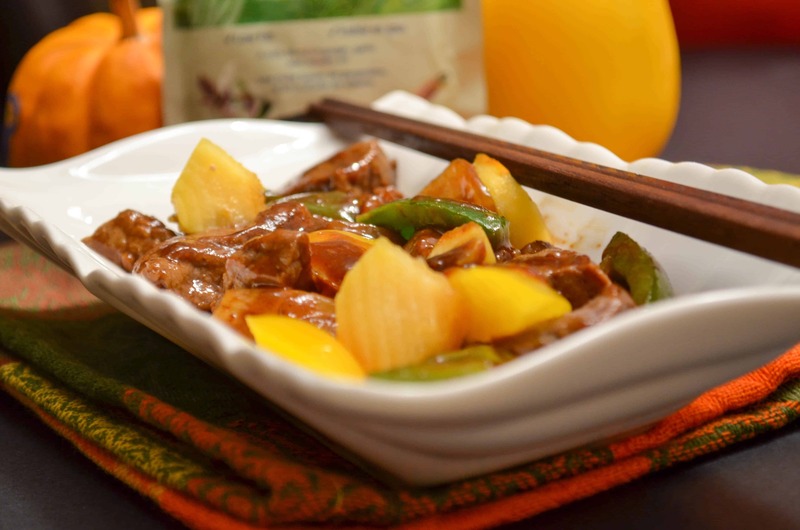 I usually don’t think of pumpkin for stir-fry, but it looks tasty in this recipe. This sounds really tasty. I’ve never thought about using pumpkin in stir fry before. Thanks! This sounds like a delicious recipe. I will definitely have to give it a try! Thanks for sharing. YUM! I need to try this! I can see how beef and pumpkin would meld together perfectly. This sounds soooo good! Beef and pumpkin sounds really tasty but I’d of never thought to pair the two. Thanks for your easy recipe. That sounds like a good match.. i would have never paired them together. Oh wow, this sounds absolutely heavenly! Somewhat perfect that I am in the midst of cooking a beef thai dish for dinner right now! I have only baked with pumpkin before, I have never cooked with it. This sounds delicious. Such a yummy dish that you created!